 Peppermint essential oil is regarded as the most versatile botanical oil with a global presence. Peppermint is a perennial herb belonging to Lamiaceae family. 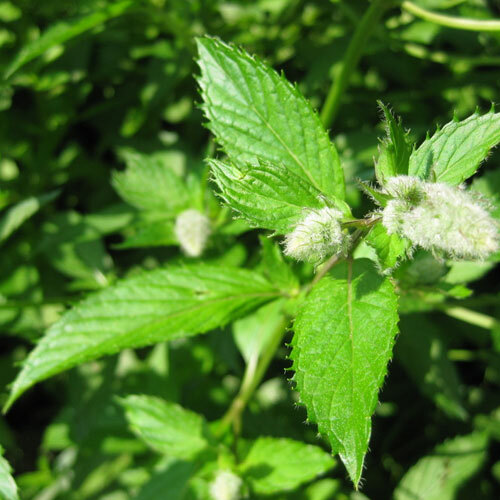 Due to the presence of menthol, menthone and menthyl esters in peppermint, the fragrance is strong, distinctly minty. Packing 1 kg, 5 kg, 10 kg, 25 kg, 180 kg Export Worthy Packing. Documents COA, MSDS, Flow Chart, GC Graph, GCMS Graph, Organic Certificate available. Blends Well With Organic Eucalyptus Oil, Organic Spearmint Oil, Organic Cinnamon Oil, Organic Clove Oil etc. Quality 100% pure and natural Essential Oil with no harmful chemicals. This organic essential oil finds place in Greek mythology, regularly featured in ancient, herbal medicine texts across China, Europe and Japan. In clinical trials, peppermint essential oil has proven to elevate mood, tone the gastric and nervous system apart from relieving sore muscles. Also referred to as Mentha piperita oil, it is equally good for topical and oral applications, with well-documented antimicrobial and astringent properties. Organic peppermint oil is also used for treating itchy or inflamed skin, wounds and infections. Common DIY application includes aromatherapy, sinus care and external use for migraines. We have systematically eliminated any additives or chemical treatments that can lower purity levels via quality control measures. Our organic oil procurement/processing is a finely engineered process, curated with the best industry practices. We ensure that the final product is loaded with all its natural goodness—none of the vitamins, minerals, manganese, iron, magnesium, calcium, folate, potassium, or omega-3 fatty acids is lost! The presence of these nutrients makes our produce therapeutic-grade essential oil that is also used for pharmaceuticals. 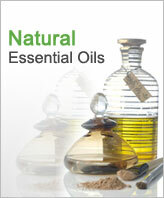 Katyani Exports is the leading provider of 100% pure essential oils. Our essential oils do not contain any additional bases, fillers, or additives. We use completely non-invasive methods and environmental-friendly approach. These essential oils are sourced indigenously as well as harvested from handpicked farms. These 100 % pure USDA certified organic essential oils are not diluted or synthetically modified. Our current pool of consumers for organic essential oils incudes boutique spas, health clubs, perfume brands and rehabilitation centers.We offer bulk volume order processing for our entire line-up of therapeutic organic oils. We are specialists in the niche of organic, premium-quality essential oils. You can order from a wide array of essential oils, each priced competitively, ready to shipped to an international address of your choice. A leading wholesale supplier, we cover the entire niche of pure plant oils, including Essential Oils, Carrier Oils and Botanical Extracts.